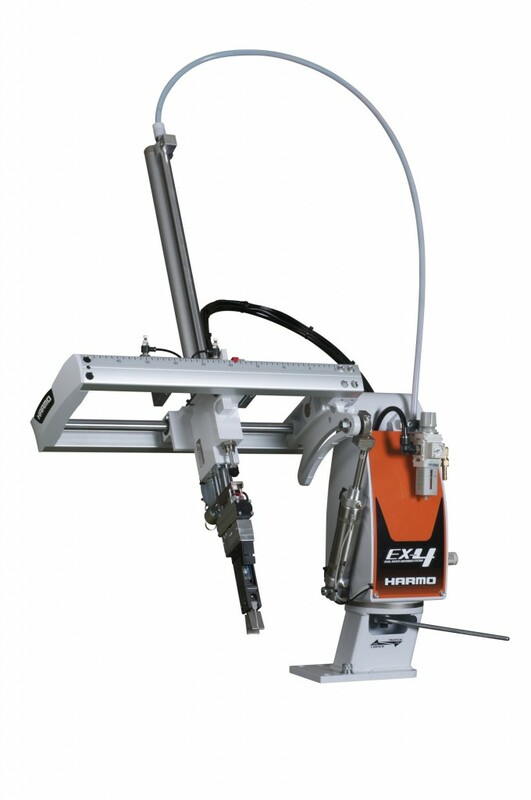 HOME > お知らせ > New Pneumatic Swing Type Sprue Picker “EX4” Series! Introducing the newly improving pneumatic swing type sprue picker, “EX4” series! EX4 with the new main body with innovated design employs the patented DUS system (DUAL SHOCK ABSOBER SYSTEM). The DUS system adjusts the speed of the fast-moving arm to reduce the stress on the equipped shock absorbers. EX4 is the reliable solution for your production with the speed and the durability.